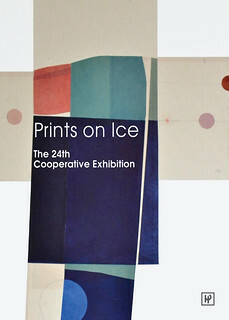 Highpoint Center for Printmaking is pleased to present Prints on Ice, an exhibition of prints by members of its artists' studio cooperative. This winter's cooperative show features the work of forty local printmakers currently working in Highpoint's facilities. More than 70 pieces were selected by the co-op's curatorial committee for exhibition, including lithographs, relief prints, intaglio prints, and screenprints. The prints will be on view and available for purchase December 6, 2013 – January 25, 2014. The public is invited to an opening reception Friday, December 6 from 6:30 – 9 pm. At this free event, guests will have the opportunity to mingle with the artists, tour HP's printshop, and enjoy beverages and hors d'oeuvres. Guests are encouraged to take advantage of a one-night-only 20% off sale for all co-op member prints on the walls as well as shrink-wrapped work in the sale racks. This opening night sale is a perfect opportunity to purchase unique, locally-made holiday gifts!